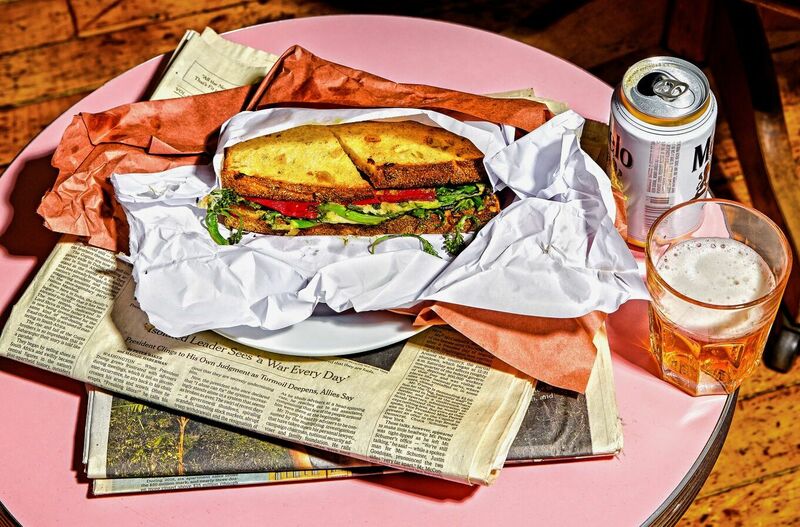 Born in Manhattan, fast-casual chain Dig Inn has become a household name in a frantic city by keeping it simple. All of the ingredients are sourced locally and made fresh by in-house chefs, and are rotated on a seasonal basis. 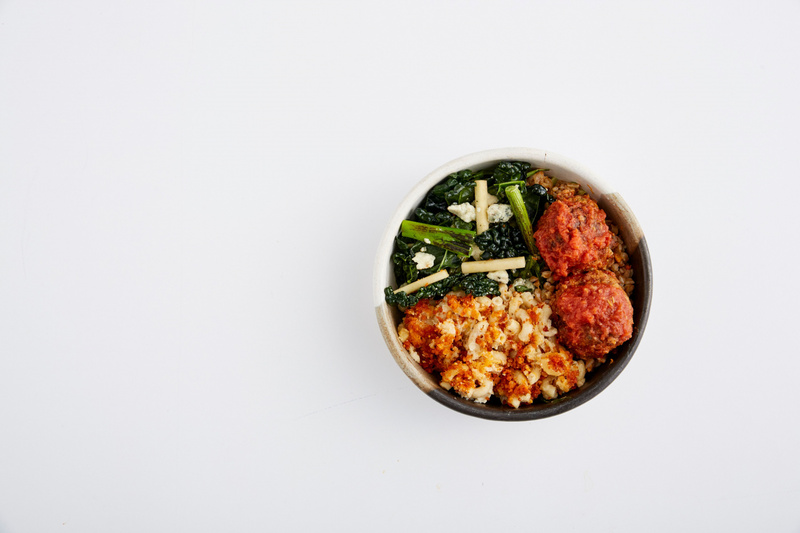 As a result, the popular food retailer is able to offer its bowls at or around a competitively low ten-dollar price point. The formula is almost too successful; lunch rushes are often accompanied by long lines that snake out the door. Although the chain is available on every major delivery service, the quality and freshness that makes Dig Inn appealing to so many customers is in the hands of those third-party apps. Enter Room Service, a delivery-specific operation within Dig Inn currently in limited release in downtown New York. 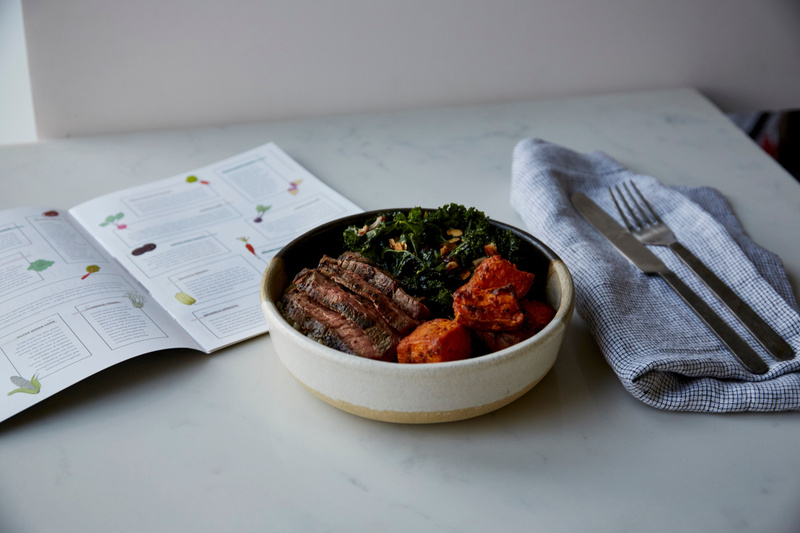 The culinary-first service approach features a standalone menu curated in-house from the same local and organic ingredients made popular by Dig Inn. Freshness is a top priority, with protective, sophisticated packaging and guaranteed delivery in 30 minutes or less. PSFK: Could you provide some background on Dig Inn, and how Room Service is an extension of it? 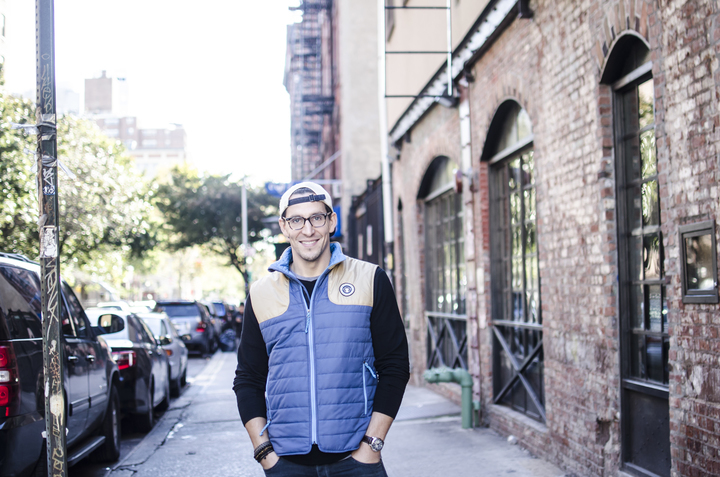 Adam Eskin: We are a mission‑driven restaurant group based in New York. 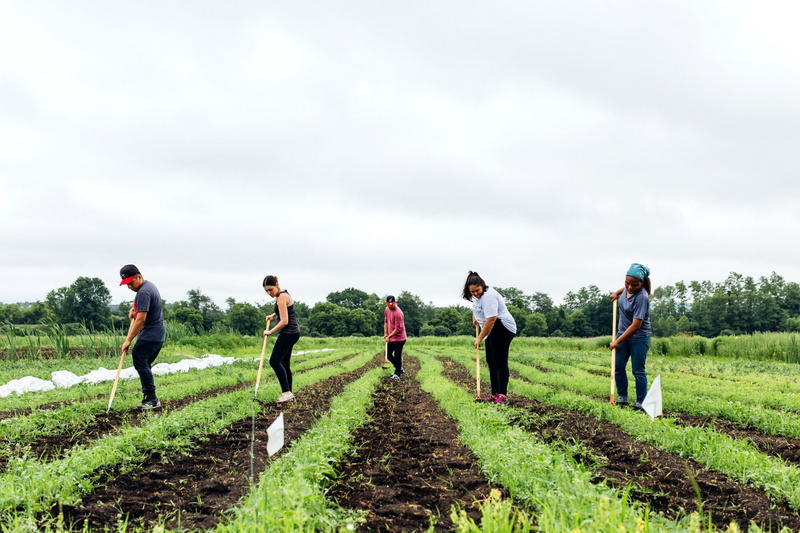 We’re focused on rebuilding the food system and doing that work through vegetables. We operate 26 restaurants currently between New York, Boston and Westchester County. We’re in the process of expanding to another market, Philadelphia. In addition to operating restaurants, we’ve built out over the last seven‑plus years a direct‑to‑grower supply chain. That network started with conversations at the farmer’s market in Union Square and has grown into a much larger distribution and overall supply chain operation. We’ve been at it for several years, and it’s become a very large piece of not just our mission, but also our business model in terms of working directly with these folks and really getting access to the season’s best, call it anywhere from a three‑ to six‑day turnaround. I actually just finished a meeting with our supply team. We were just talking about the current state of affairs and how we’re thinking about scaling our supply chain as we move into Philadelphia and then expand beyond the Northeast. We were talking specifically about shelf life. It’s pretty remarkable. We’re at the point now where our growers are growing for us. They’re harvesting for us. The time that it takes between the food being harvested, put into a refrigerated truck, brought down or up to the city and then to our restaurant can be as short as three days. That’s been a big piece of what we’ve built. The other side that’s been very important for us, again, in service of this bigger vision and mission around the food system, is the cooking piece. We started with a pretty typical staffing model: We had a general manager, and then we had an assistant manager and a kitchen manager. We set out, several years ago, to rethink the entire organization structure of the restaurant. What would it look like if a chef was the person running the restaurant? How could we then support that individual with respect to all the other things that need to happen every day inside and outside of the four walls of a restaurant that are not necessarily the purview of the chef? We’ve been building this infrastructure for several years, and are very proud to say that despite the rocky start, we’ve gotten to a place where it’s become an incredible pillar of capability and a strategic advantage for us. All of our restaurants are now run by chefs. They’re either trained and developed internally, or we’re recruiting these folks, largely from full-service restaurants and full-service environments. This is the work that we’ve done in support of growing a business to get to where we are today. We will continue to build our agricultural practices. We’re in the process of acquiring some farmland to extend our own farming operation. We continue to build up the relationships we have with both existing growers and finding new ones as we extend regionally. We continue to invest in what we’re referring to as Dig Academy, which is the infrastructure that supports taking somebody who joins Dig Inn on day one. We’ve been in the delivery business for several years, and like many of our peers and others in the industry, it wasn’t always the top priority. I think the way that we approached this aspect of the business lacked intention and real scrutiny. We took our existing menu, we put it into a container, we put a lid on it, threw that container into a bag, and we sent it out with a delivery person. That person could be one of our own delivery fleet drivers or an outsourced option. Those orders could come from our own app or from an online order infrastructure, or from other third‑party marketplaces. A curious thing that we’ve started to observe over time is the experience and guest feedback. What we are witnessing inside the four walls of our own restaurants sounds immensely different if you were a guest who was walking in or taking away their stuff, versus if they’re having the food brought to them. The consumer by virtue of having access to this new infrastructure in new marketplaces and logistic services has become accustomed to lots of things being brought to them in real time, including food. We wanted to be really thoughtful about menu and menu construction, the type of items that deliver well, the cooking apparatus, the operations—every single component of how we think about cooking and then sending out food. What if it could maintain its quality or, in some instances, what if it could improve as the food travels? What would that start to look like? It would be a larger list. We would need a different physical space. We’d likely need different equipments, a different menu, and so that’s where we started. The desire to build something like Room Service was born out of necessity. It’s food that we want to be proud of and delight our guests with, no different from their experience inside the restaurants. Room Service recipes are specifically made for and exclusively sold on the platform. Did you have any strategies in determining what those would be? There was a lot of menu construction, R&D, tastings, and kitchen equipment and workflow configuration. We got to the point where we’re cooking the piece of salmon. We’re putting it on piping hot potato or parsnip puree. We’re putting a lead on it. We’re sending it to our own office. It tested at 105 degrees, and it showed up at the office at 125 degrees. Then we had something to build on. We’re working on a much larger packaging project that we believe will be instrumental in the long‑term vision for Room Service. For now, in terms of getting to MVP and getting to launch, we’re largely working with stock items. We gather a lot of feedback on what people think about sustainable packaging versus the performance of the packaging. Is it more important that it comes, and it’s exactly at the right temperature, and the food hasn’t moved around? Or is it really important that the packaging appears to be or it is actually eco‑friendly, and there is real downstream recycling or composting capability? These are all the things that we’ve been working through. Some of them we’re still working through and doing A/B testing. As we approach the public launch date, for a long time, we’re going to continue to be incentivizing our guests to give us feedback. I expect over the first 12+ months it’s going to continue to be a highly iterative environment for the service. Dig Inn is very transparent about its process, including where food is sourced and who is cooking it. How do you maintain that with Room Service? Room Service is the same brand. It’s the same food. 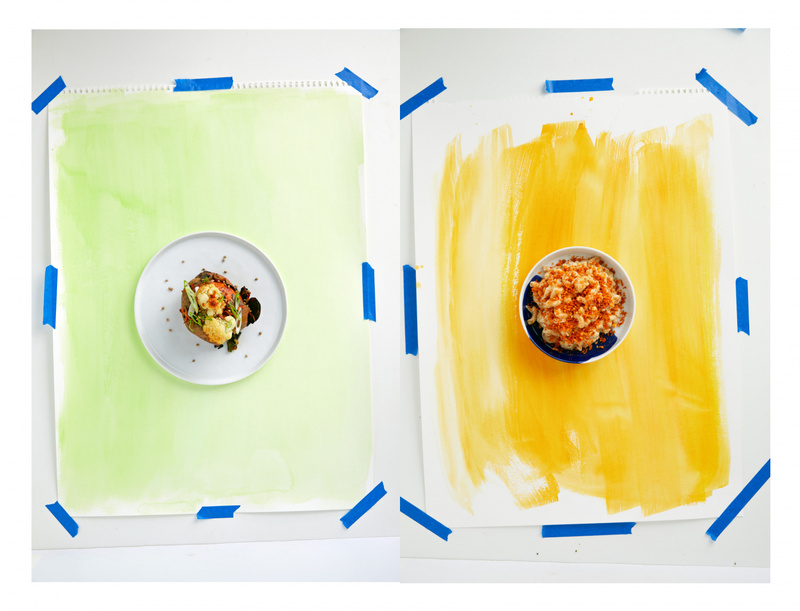 It’s the same approach to cooking: the pursuit of vegetables but just a different service format. We understand that our guests appreciate a number of things about us: the supply chain, the integrity with which we source and grow, and the fact that they can trust and rely on where it’s coming from because we’ve done the work. They love the fact that it feels very home‑cooked, because it was made from scratch in the kitchen and served to them by a cook or a chef that day. We don’t see Room Service being different in any capacity. It’s the exact same supply chain. It’s the exact same cooking infrastructure from a culinary palate perspective. A big part of that cooking infrastructure is cooking for an audience of people who care about what they put in their bodies. The way our chefs and cooks think about cooking starts at the farm, and it goes all way through the work that is done in the kitchen. As the world changes, time passes and consumer behavior evolves as a byproduct of technology and more, the way in which people want to experience food is going to change. We are not the first business to think about offering this type of service. One of the most compelling things for us about what we’re doing is we are truly just layering this onto an infrastructure that we’ve already built. We feel that if we had to build this business as a stand‑alone tomorrow, it would be very challenging. We’re just thinking about it as a service that we’re layering on top of our infrastructure. That infrastructure is the agriculture and farming, logistics, supply‑chain and cooking. We already build and operate restaurants, and we have a basement space that we’re using to set up separate kitchens. All of that infrastructure is in support of this service layer. In the absence of having that in place, standing up one of these types of delivery businesses would actually be very challenging. How do all of these decisions play into the current consumer expectations for delivery? In the past we’ve focused on the core, which is the food itself and how we can design an operation that is scalable and that will deliver an experience, a food or a product that our guests will love. There’s a time expectation. A big driver for delivery is convenience. Customers are calling or ordering because they don’t actually have time to make it, which includes grocery shopping, prep, some degree of culinary aptitude, and so forth. Or, they just want to stay in and have it come to them. We’ve started with the core, which is we want to deliver an exceptional food experience in people’s offices or at their homes. From there, we asked, “How does packaging impact that?” Long‑term, what we’re working on, what we believe to be the best outcome, is having a full end‑to‑end, reusable packaging program. We think that’s the future for all of retail. We think it’s really important for delivery, and that’s what we’re working on. Room Service is currently in beta testing in downtown New York only. Where would you ideally hope to expand to in the future? For a number of reasons, we have chosen to focus on dinner as the time during which we’re going to launch in beta, and then to the public with Room Service. One reason is the type of cooking that we’re doing for deliveries and the type of cooking, frankly, that we do in general lends itself very well to a dinner experience. It feels home‑cooked, and a lot of our food is hot or warm, it’s not ambient, it’s not cold. Another reason is, as I mentioned before, part of what we’re building and the strategy behind it: Leveraging physical assets that we either already have under control, or that on a prospective basis we will have under control by virtue of our core restaurant business. The location from which we’re launching has a full kitchen cooking operation for Room Service. It’s on a subterranean level and it’s below one of our newer restaurants on Broadway—our NYU location. If you walk in there at two o’clock, the restaurant is full and it’s your regular Dig Inn experience. If you were to go back through the kitchen and down the stairs, you’d then be in the Room Service kitchen, which is operating completely independently. In terms of expansion, ultimately we see this service being available to all of Manhattan and then the outer boroughs. We don’t necessarily have a timeline for when we’re going to offer the service beyond downtown. We know we’re not going to get it all right out of the gate. That’s the nature of being in the food business and being in delivery. We’re eager to get it out there, get feedback, learn as we hit our stride and get some more repetition and get some more feedback. I think we’ll know when is the right time for us to expand. Dig Inn is taking stock of how consumers want to experience food, combining convenience with quality and sustainability. For more from similar inspiring brands, see PSFK’s reports and newsletters.